Steven Murray is a photographer and film maker best known for his luscious beauty portraiture and cinematography that seek to illuminate beauty in all of its forms. Beginning his photography career at Ford Models in Miami in the 1990s, Steven has spent over two decades creating intimate and evocative editorial beauty portraits, international brand campaigns and TV commercials. His creativity in both the still and moving image means he is increasingly engaged by brands to shoot both aspects for campaigns. Steven’s editorial portraits have been commissioned by publications including GQ, Oyster, Noise and Belle Magazine. His brand campaigns have included Virgin Atlantic, Country Road, Qantas and Goldwell and he has completed over 50 TVCs for brands including Visa, Samsung, Telstra and LG. All of Steven’s work is imbued with a strong sense of lyrical beauty. His signature style is showcased in his book ‘Iconic Beauty’. Published in 2010 in association with international spa brand Spa Chakra, the book is inspired by the iconic beauty campaigns of yesteryear and uses the vivid and diverse landscape of Australia’s East Coast as a backdrop. 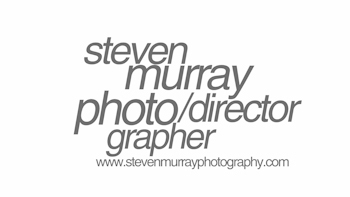 After over a decade of shooting TVCs and commercial video, Steven has recently expanded into documentary film making. As director and cinematographer, he has completed a feature-length film about the life of international pop singer Engelbert Humperdinck. ‘The Legend Continues’ is expected to be released in 2019 and will offer a privileged and unique insight into Engelbert’s improbable life and times. Steven is currently based in Sydney.